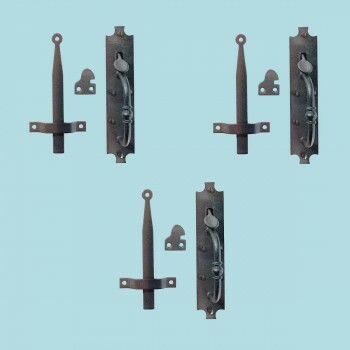 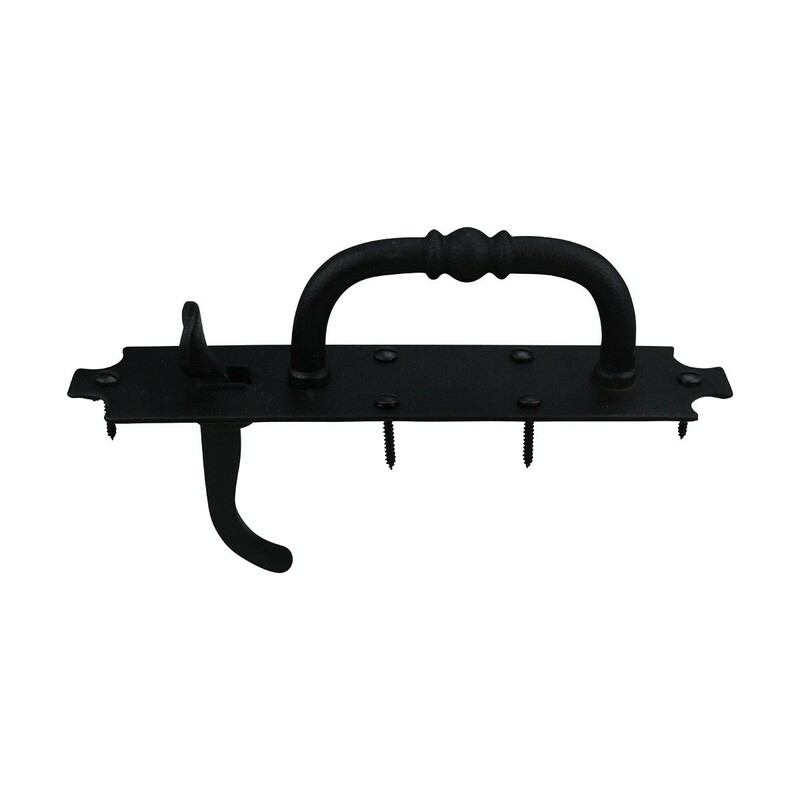 (3) pieces The "Colonial Norfolk" cast iron door latch is handcrafted in our New England forge for solid construction and an elegant vintage style. 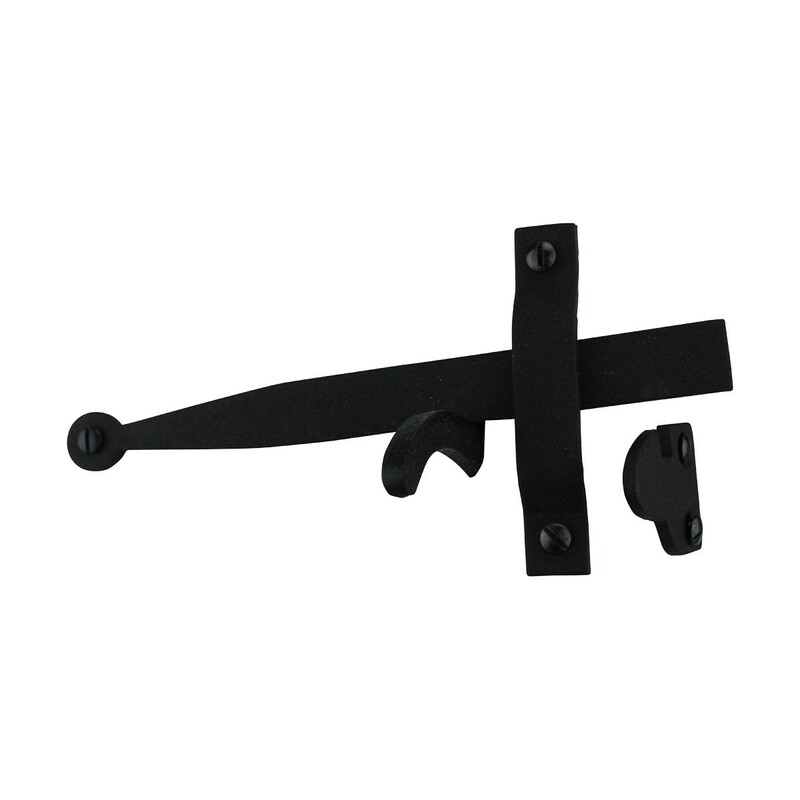 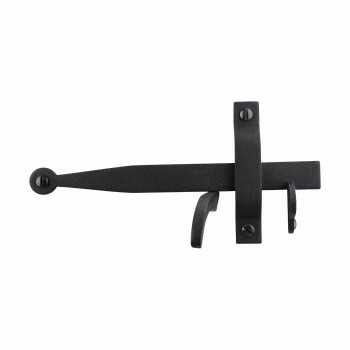 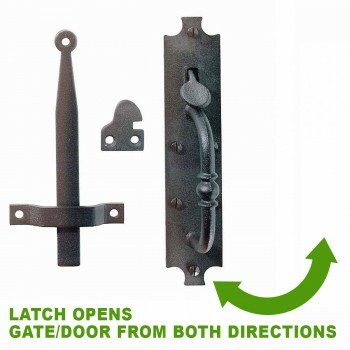 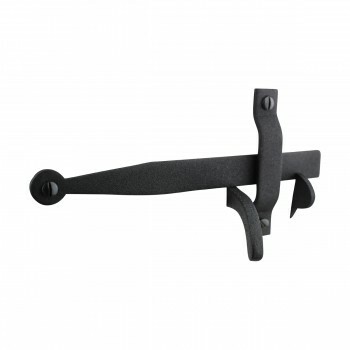 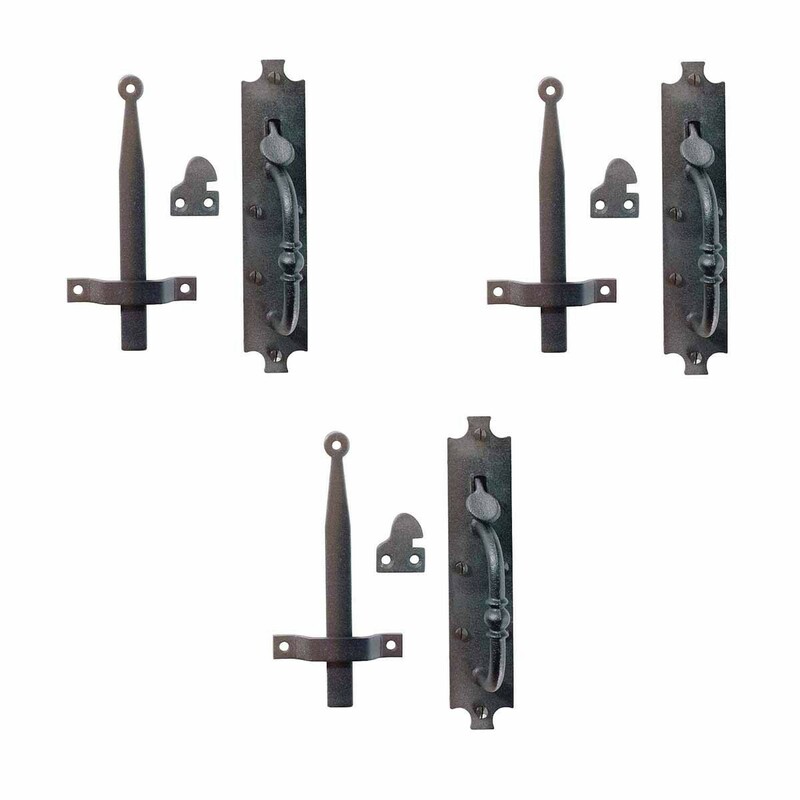 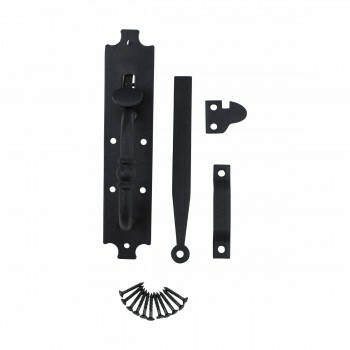 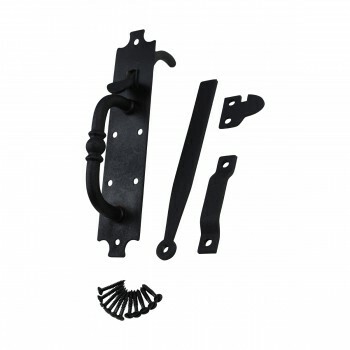 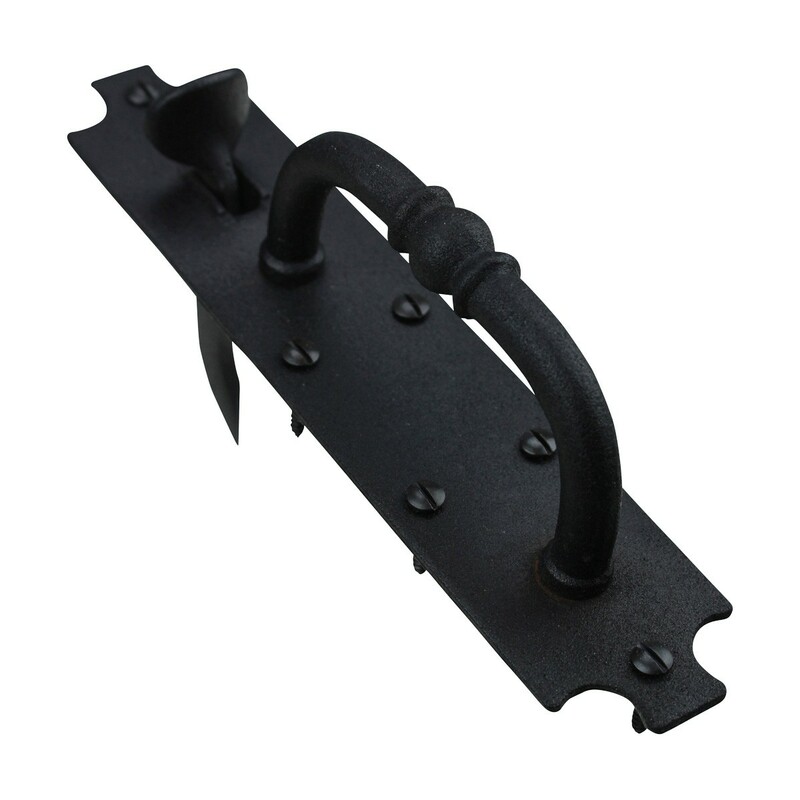 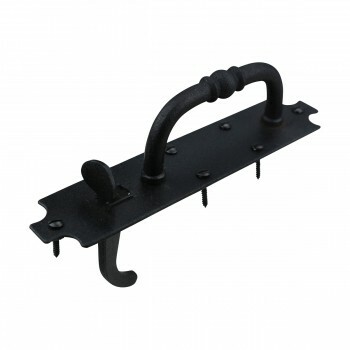 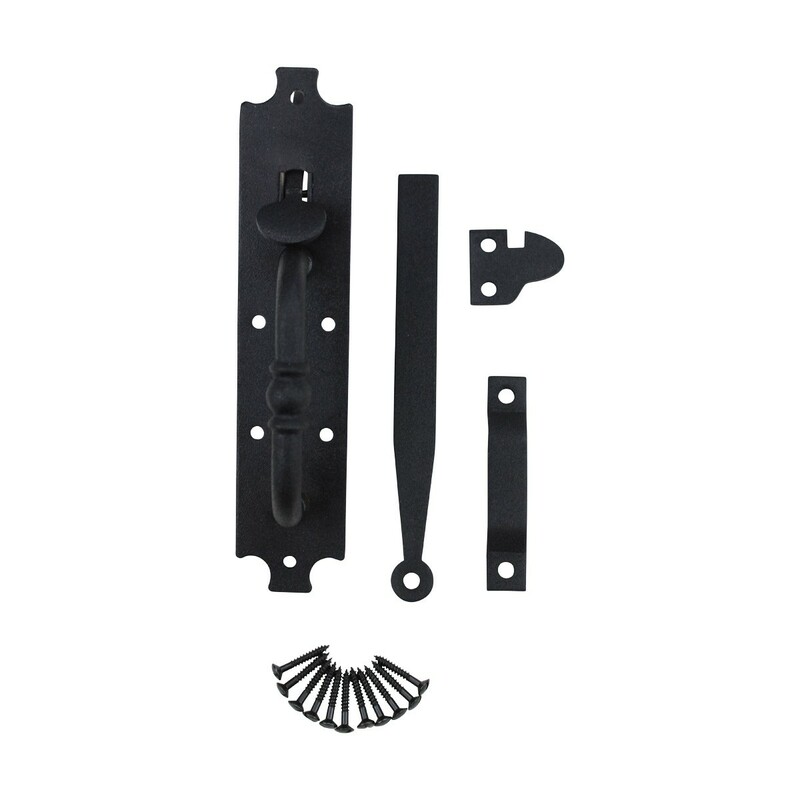 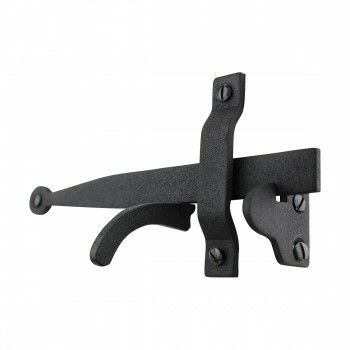 Durable black iron latch opens from both directions and includes slotted pyramid head screws intended for indoor use. 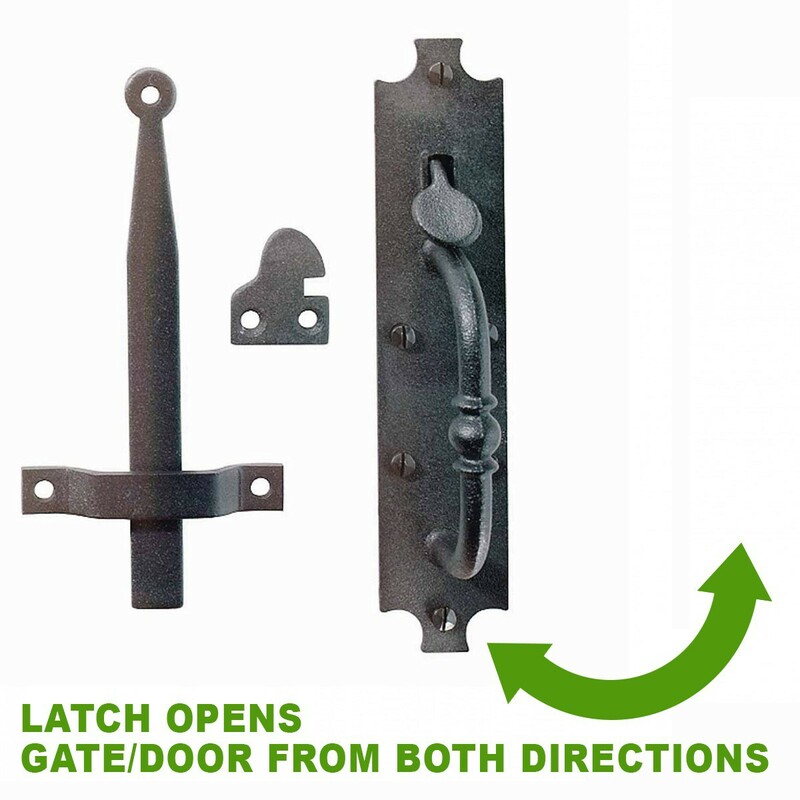 Functions with any door up to 2" thick. DIMENSIONS: 8" Tall x 1-5/8" Wide.